WE ALL LOVE simple tips and tricks that make our lives easier. And wouldn’t it be nice if household chores were a bit easier? A portable, handy and incredibly simple way to make your own toothbrush holder. That’s right. A PEG! Don’t know what to do with that old sliver of soap in the bathroom? Simply add it to the next bar. No waste. Having people over? Whether it’s dips or condiments, a baking tray with bun inserts is perfect to hold all your party favours. PLUS – minimal clean-up. Lost something tiny around the house, like an earring? Nightmare. But never fear, you don’t have to scrabble around on the floor squinting for it. Cover the top of your Hoover nozzle with a pair of tights and use the suction to find small items easily. Got an old crib that you have no use for any longer? (Sob.) Well here’s a creative use for that old piece of furniture – incredibly handy. Got little messy eaters around the house? Or are you one yourself? 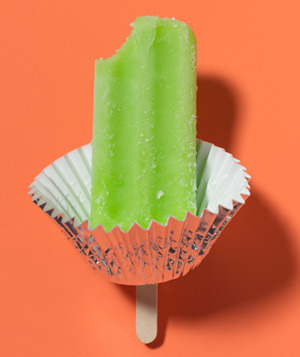 Well, for sunny days with ice pops, simply pop a bun case on the stick to avoid sticky drips. Want to know how to peel a potato in 30 seconds – without a knife or a peeler? Here’s how. WHOA. Time saved. Mind blown. Email “7 life hacks to use around the house”. Feedback on “7 life hacks to use around the house”.